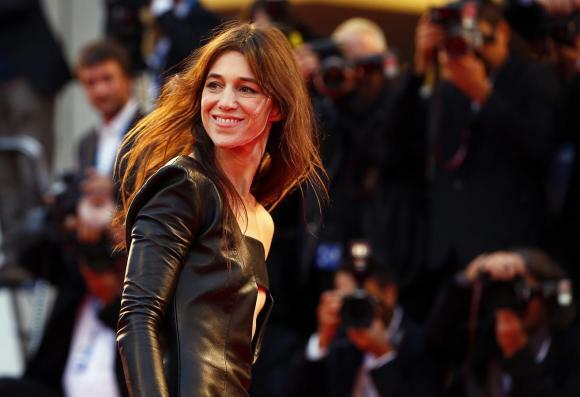 (Reuters) – Charlotte Gainsbourg says the most exciting thing about her role in the French romantic comedy « 3 Coeurs » (Three Hearts), shown in Venice, was the chance to once again play Catherine Deneuve’s daughter, a role she had in her debut film when she was 12. Director Benoit Jacquot’s film is a love triangle in which a tax auditor, played by Belgian actor Benoit Poelvoorde, unwittingly falls in love with two sisters, played by Gainsbourg and Chiara Mastroianni. They also do not realize they are in love with the same man because one sister lives in France and the other has moved to the United States. Playing the sister of Mastroianni, Deneuve’s real-life daughter, was the role’s biggest challenge, Gainsbourg told Reuters in an interview at the Venice Film Festival. « She was playing my mother then and she was playing my mother now. The difficulty for me was to be believable with Chiara, playing her real daughter, and to feel that I could also be the other daughter, that was for me the most difficult thing because I knew there would be a complicity between them, » she said. « But the thing is that in the story my character takes a step back, so anyway there was some kind of a distance, » Gainsbourg said, regarding the film’s resolution. Also screening, out of competition, at the festival is Lars von Trier’s « Nymphomaniac Volume I and II, the Director’s Cut », in which Gainsbourg is the battered woman of the title. She said she was forever fielding questions about the Danish director and that working with Jacquot had been a very different experience. « It’s funny how people always want me to compare someone with Lars. I get it, but Lars is very different, » she said. The actress, who is often seen in riskier roles, said she did not particularly seek out that type of part. « I don’t see myself as being daring, I mean not with all the films that I choose. I just choose what ever comes up and it feels right but there is nothing, there’s no special goal or I’m not aiming for anything in particular, » she said. « 3 Coeurs » is one of 20 film vying for the coveted Golden Lion award at the Venice Film Festival, which runs through September 6. 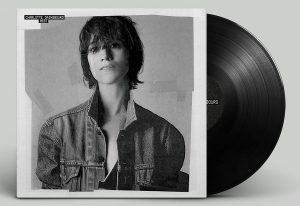 The movie is lovingly filmed in a provincial French city where Marc, the tax auditor, misses his last train back to Paris and accidentally bumps into Sylvie, played by Gainsbourg, who has popped into a late-night cafe to buy cigarettes. They hit it off and agree, without exchanging phone numbers or names, to meet at a Paris park the next day but he is delayed by an attack of angina that causes him to black out and they never meet. When Marc next visits the provincial town, Sylvie has moved to the United States and he instead runs into her sister, whom he ends up marrying. Only when the wedding is set to be held in the garden of the sisters’ mother, played by Catherine Deneuve, does he find out that the woman he really loves is his fiance’s sister.